As its name implies, ransomware is nefarious malware that holds your data hostage, demanding payment to release it. Attacks similar to Petya variants or WannaCry are much more sophisticated versions of typical malware. They take advantage of leaked exploits, using strong encryption and a modular architecture. 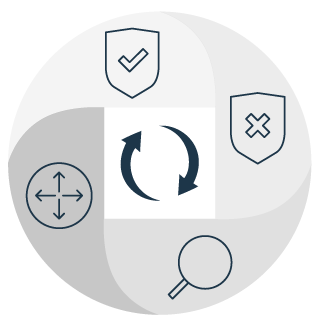 Find unpatched vulnerabilities with IBM’s automation tool. Check that you have patched these. Ensure all signatures are up to date on antivirus systems and network blocking technologies. Leverage deep security analytics to correlate disparate data and detect emerging threats. Prepare your teams with a response playbook, should you be infected. IBM Security’s global incident response expertise is available to help.